Commemorating the 200th anniversary of the publication of Mary Shelley’s Frankenstein in 1818, Videographic Frankenstein reflects on the novel’s visual legacy across more than a century of adaptation in film, television, and other media. For this purpose, the exhibition foregrounds scholarly and creative uses of digital video for the presentation of research, argumentation, and critical analysis of moving-image media. 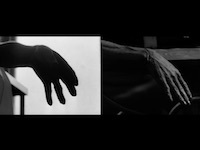 Such work, referred to variously as videographic criticism, videographic scholarship, or simply the “video essay,” is highly self-reflexive, in that it utilizes the medium of moving images in order to study moving-image media. This self-reflexive methodology is particularly appropriate for the study of Frankenstein and its many adaptations, as it provides a unique opportunity to experimentally probe the interfacing of humans and technologies that makes up the core thematic concern of Shelley’s tale and the quintessential modern myth that it has become. This is the case, above all, because cinema itself works by stitching together “dead” photographic traces of the past to “animate” its hybrid compositions, and it can therefore be regarded as a “Frankensteinian” technology in its own right. 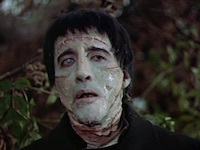 The many Frankenstein films produced over the past century – over 200 movies, by some estimates, stretching from Thomas Edison’s silent Frankenstein (1910) to digitally enhanced CGI spectacles like Van Helsing (2004) and I, Frankenstein (2014) – offer an important register of the historically contingent relations between humans and their technologies, including the relation of spectators to the cinematic medium and apparatus. Videographic explorations of this rich archive of moving-image media thus provide an exceptional opportunity to think about our evolving relations to technology, including media technologies, while contributing to and helping to shape an emerging field of scholarly and creative media practice. As the title suggests, “Frankenstein (2018)” is yet another adaptation of the Frankenstein mythology for the screen. The Frankenstein mythology considers self-inflicted disaster with technology-gone-wild as the catalyst. As new technology amplifies power, so it amplifies consequences. “Frankenstein (2018)” is a silent animation cycle. It is a cinematic adaptation that is broken in normal narrative terms. There is no beginning and no end – only a perpetual middle where the action is stuck like bad code in an infinite while-loop. Frankenstein lacks an iconic television version, so by following the patchwork logic of the story, this video creates a deformed collage that strives to assemble the essential sound and vision of Frankenstein’s televised monster. This video essay examines a sub-genre of the Frankenstein film in which a mad doctor attempts to revive a disfigured/dead daughter/fiancée by stealing parts from female victims. As the video demonstrates, the (often unmet) critical potential of such films is their narrative condensation of the part-for-whole logic through which female bodies are often represented in the media. 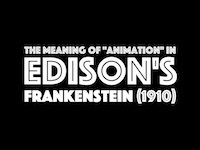 “The Meaning of ‘Animation’ in Edison’s Frankenstein” is both a close reading of the first known (and once lost) Frankenstein film and an experiment with videographic form: the “annotation essay” presents the complete film (now in the public domain) and uses onscreen text to place it in its media-historical and technological-phenomenological contexts. Reflecting on the Frankensteinian act that is cinematic creation, this video essay presents a side-by-side view of Ingmar Bergman’s Persona (1966) and a reconstruction of it using parts culled from a variety of Frankenstein films. “Red, Not Blood” is a poetic video essay that explores several crises faced by transatlantic cinema in the 1960s – technological, aesthetic, philosophical – through a pairing of two seemingly disparate works: Jean-Luc Godard’s Le Mépris (1963) and the first film of Hammer Studios’s B-movie horror series on Frankenstein, The Curse of Frankenstein (Terence Fisher, UK, 1957). It also draws upon other contemporary works – the film music of Georges Delerue, the photography of Ralph Eugene Meatyard, and the drive-in Z-movie I Was a Teenage Frankenstein! (1957) – to create an atmosphere thick with loss and made up of half-remembered shards of the disintegrated filmed past. 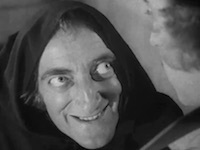 “Horror and Humor: Frankenstein’s Comic Offspring” explores one branch of Mary Shelley’s family tree, the parodies of her narrative, and scrutinizes it through the lens of its most famous step-child, Young Frankenstein (1974), demonstrating how director Mel Brooks employs conventions from classic movies to re-configure Shelley’s essential themes. “Sight and Sound Conspire: Monstrous Audio-Vision in James Whale’s Frankenstein” conducts what might be described as a “counterfactual phenomenology” of image-sound relations in the film that established Boris Karloff as the iconic embodiment of Frankenstein’s monster, re-imagining the early sound film as a silent movie and staging encounters across cultural and historical divides. 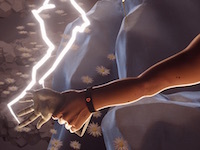 “On Galvanism: Electricity, Frankenstein, and the Moving Image” uses the concept of “galvanism” in Mary Shelley’s Frankenstein (1818) as a jumping-off point for explorations of life force, electricity, and narrative construction in film and other subsequent science fiction tales. A work of art, like Frankenstein’s monster, is an object sewn together from disparate pieces, only coming to life with a spark of imagination in the viewer’s head. The British science-fiction thriller Ex Machina (2015) has inspired mixed reactions from both critics and audiences. This video essay examines why some walk away from the film thinking about the Turing test (a gauge for determining whether a machine exhibits intelligence equivalent to that of a human) and others the Bechdel test (a touchstone for determining male bias in a film). 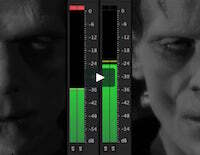 Videographic Frankenstein was originally displayed September 26 – November 2, 2018 at Stanford University. A pop-up version of the show was also displayed on November 8, 2018 at the Library of Congress. The exhibition was made possible by a grant from the Stanford Medicine and the Muse Frankenstein@200 Initiative, as well as support from the Stanford Department of Art & Art History and Program in Film & Media Studies. Shane Denson is Assistant Professor of Film & Media Studies in the Department of Art & Art History at Stanford University. His research and teaching interests span a variety of media and historical periods, including phenomenological and media-philosophical approaches to film, digital media, comics, games, videographic criticism, and serialized popular forms. Denson is the author of Postnaturalism: Frankenstein, Film, and the Anthropotechnical Interface (Transcript-Verlag/Columbia University Press, 2014) and co-editor of several collections: Transnational Perspectives on Graphic Narratives (Bloomsbury, 2013), Digital Seriality (special issue of Eludamos: Journal for Computer Game Culture, 2014), and the open-access book Post-Cinema: Theorizing 21st-Century Film (REFRAME Books, 2016). His current book project, Discorrelated Images, is forthcoming with Duke University Press. See shanedenson.com for more information.